Our 5-in-1 peach/nectarine tree flowered earlier this spring and now has a few fruits on it. 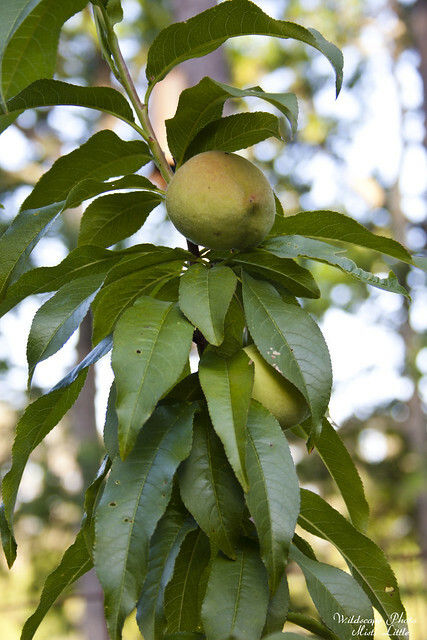 I think there is one nectarine but the peach limb has produced the most fruit so far. Technically I think you are supposed to pick the fruit off the first year in the ground in an effort to get the tree to have better growth but with only three or four fruits we decided to leave them on. I guess in another month or so I’ll get to taste the peaches and savor our teeny harvest.